What’s your favorite part of Christmas? Is it the family time with relatives, buying and sharing gifts, the beautiful holiday music, the special seasonal activities and traditions? 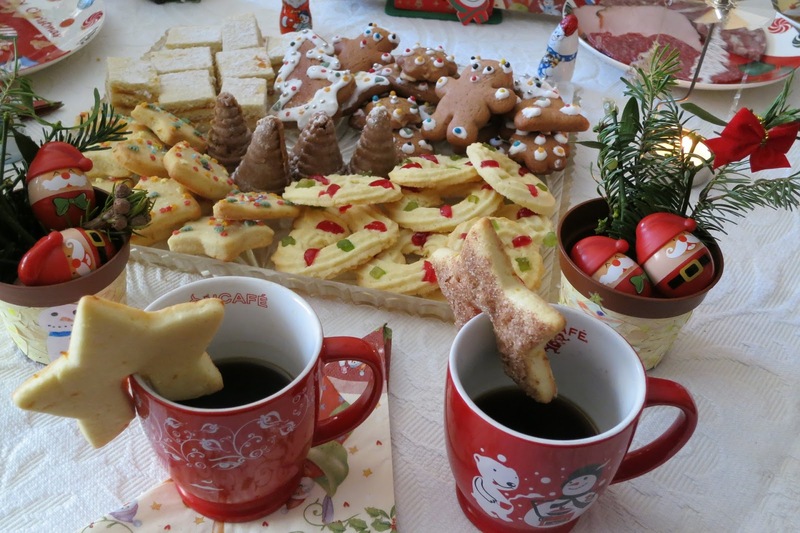 Or could it be one of my favorite things about the holidays…the delicious food? However, I have to admit that this task can take up quite a bit of time at a season when I’m already just so busy. Have you ever considered hosting a holiday cookie swap? I went to one once, and I keep meaning to host my own. This is a fun way to get in some social time and to pack up beautiful cookie gifts to distribute while not actually having to do all the baking yourself! 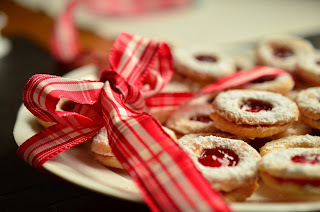 To host a swap, send out invitations to 5-8 friends a couple of weeks before, explaining that you’ll all be bringing cookies so you can share them and make up varied cookie boxes, bags, and tins for friends. Ask them to bring a dozen cookies for each attendee, plus some extra for sampling. Coordinate to make sure you’re not duplicating types of cookie. If you like, you can provide simple bags, boxes, tins, tags, and twine, or ask your guests to bring them. When guests arrive, you’ll have a tasty snack already available (just add coffee and tea, or wine or after-dinner drinks) and everyone can socialize, pack up their cookie gifts, and enjoy themselves rather than spending time finding recipes, buying many different ingredients, and dirtying many dishes making multiple types of cookie. So what kind of cookies will you bring to this year’s party or cookie swap or just bake to stock your own family’s cookie jar? While I enjoy traditional favorites, like sugar cookies, my mother-in-law’s nutmeg logs, and my mom’s famous pecan tartlets, I like to make sure to include some delicious citrus-flavored cookies as well. I think the flavor of oranges, tangerines, and lemons adds some much-needed brightness, freshness and sparkle to the holiday platter. Why not take advantage of these traditional (and in-season) holiday fruit? But which citrus cookie recipe to choose? There are so many incredible choices. We’ve collected a few for you. Take a look at this gorgeously elegant Orange Shortbread with Dark Chocolate and Pistachios. If you want to knock your gift recipients’ socks off, these are one excellent option! I love how these combine the rich taste of chocolate with the aroma of orange, and the pale green pistachios really give it a Christmassy look. For something a bit homier, go with these Super Soft Clementine Cookies, which can also be made with other citrus, like oranges or tangerines. Or how about these dainty Lacy Almond-Orange Cookies, which feature the haunting flavor of anise along with orange zest? Cookies like these won’t be on just any cookie platter. What could be more festive than these adorable cranberry-orange pinwheels, which star two traditional holiday flavors? After chilling the dough, you just slice and bake—really easy. These soft, frosted orange-ricotta cookies are a tried and true Italian Christmas favorite. The beautiful bits of orange zest in the icing add that real orange flavor! Baking gluten-free? Oranges and almonds are a time-tested, classic combination, and this simple gluten-free (egg- and grain-free, too) recipe for Orange Almond Cookies will meet your recipient’s needs while also tasting delicious. Finally, my daughter, who has interesting tastes for a middle-schooler, thinks it’s just not Christmas without homemade biscotti. It’s true that they’re very tasty! I suggest these orange-almond biscotti dipped in chocolate, which will add a sophisticated touch to any cookie plate. 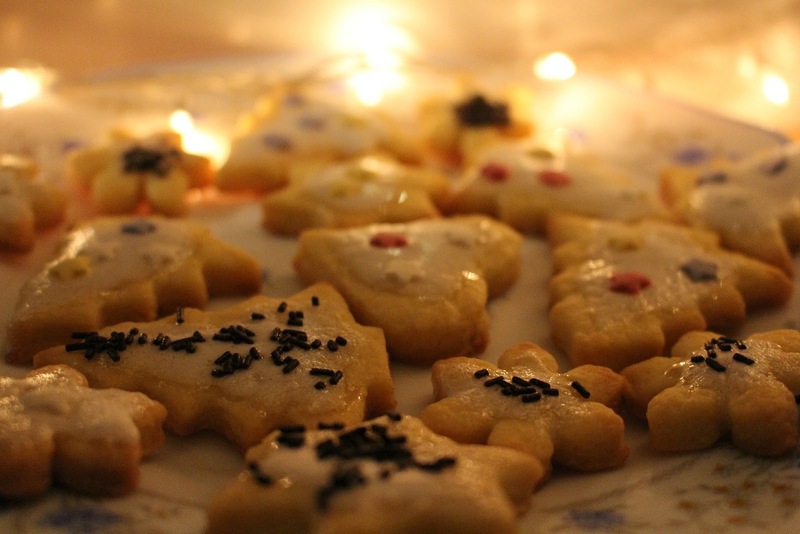 Enjoy your holiday and your delicious cookies!